Amazon sale in India is something to look forward to ahead of this Independence Day. This week, Amazon India will host the Freedom Sale 2018 on its app as well as the website. The 4-day Amazon Freedom Sale starts August 9 and ends August 12. As part of the sale, Amazon will offer certain deals and discounts on products across various categories. During the sale, Amazon will offer up to 40 per cent discount on mobiles and accessories. Customers purchasing the OnePlus 6 shall receive some additional discount with the exchange. OnePlus 6 price in India starts at Rs 34,999 for 6GB of RAM and 64GB of internal storage. Right now, customers can avail up to Rs 8,084 off with the exchange. OnePlus 6 happens to be the second most affordable smartphone after Asus Zenfone5Z to feature Qualcomm’s current flagship Snapdragon 845 processor under the hood. OnePlus 6 sports a 6.28-inch AMOLED display with a notch and 2.5D Corning Gorilla Glass 5 protection. It houses 20MP+16MP dual rear cameras and a 16MP selfie camera. OnePlus 6 runs Android Oreo-based OxygenOS skin and packs a 3,300mAh battery. Similar to OnePlus 6, customers purchasing the Oppo Realme 1 will be eligible for some discount with the exchange. Currently, Amazon offers up to Rs 8,084 off with the exchange on Oppo Realme 1. Available in multiple colour options, Oppo Realme 1 starts at Rs 8,990 for 3GB RAM and 32GB storage and goes all the way up to Rs 13,990 for 6GB RAM and 128GB storage. As a result, Oppo Realme 1 is arguably the most affordable phone to feature that much RAM and storage onboard. 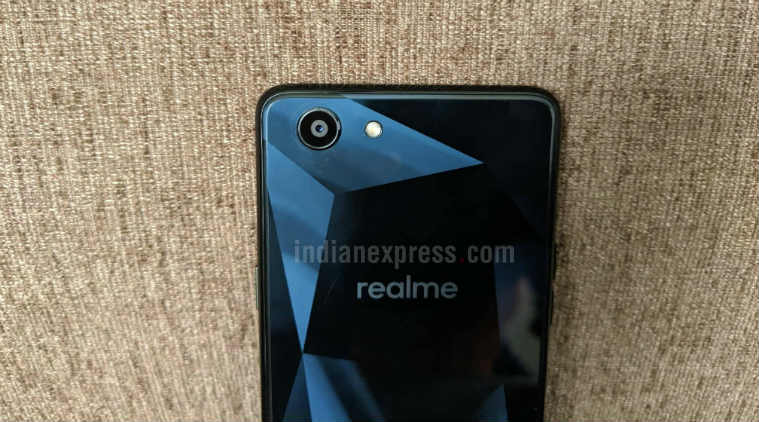 Oppo Realme 1 sports 6-inch Full HD screen and packs a MediaTek Helio P60 SoC as well as a 3,410mAh battery. The phone also features 13MP main camera and 8MP selfie camera. The Moto G6 sells for Rs 15,999 for 4GB RAM and 64GB storage on Amazon. As part of the Freedom Day 2018 sale this week, customers can avail up to Rs 8,085 off with the exchange. It features a 5.7-inch full HD+ display and sports Qualcomm’s Snapdragon 450 processor paired with Adreno 506 GPU for graphics under the hood. The Moto G6 packs 12MP+5MP dual rear sensors and 16MP selfie sensor. It runs Android Oreo and carries a 3000mAh battery. Motorola Moto G6 is powered by the Qualcomm Snapdragon 450 processor. During the Amazon Freedom Sale 2018, Amazon’s sneak peek suggests that Nokia 6.1 will be available at a discounted rate, down from its selling price of Rs 20,095. However, Nokia 6.1 was never really retailing at Rs 20,095 in the first place. So it seems like a cheap marketing stunt carried out by the e-commerce platform. But let’s wait and watch how much it actually sells for during the sale, either discounted or with the exchange. We expect the price to be quite competitive in this Amazon sale as Nokia will look to clear as much stock of the Nokia 6.1 as possible as its successor (Nokia X6/6.1 Plus) is due in India shortly. Nokia 6.1 offers a 5.5-inch Full HD 16:9 screen and packs a Snapdragon 630 SoC under the hood. It has two variants: 3GB RAM/32GB storage and 4GB RAM/64GB storage. Nokia 6.1 houses a 16MP main camera and 8MP selfie camera and runs stock Android 8.1 Oreo.